When you first load your Tidepool account, on the upper right, you will see a link for "Device Settings." Please click this link to navigate to the Device Settings view. The Device Settings page shows information from your current Insulin Pump settings. This information is updated every time you upload the device, so please note that it only shows your current device settings. In this section, you will see the various Basal profiles configured on your device. They will have the same name as they have on your device as some devices are able to name the profiles, and some are not. 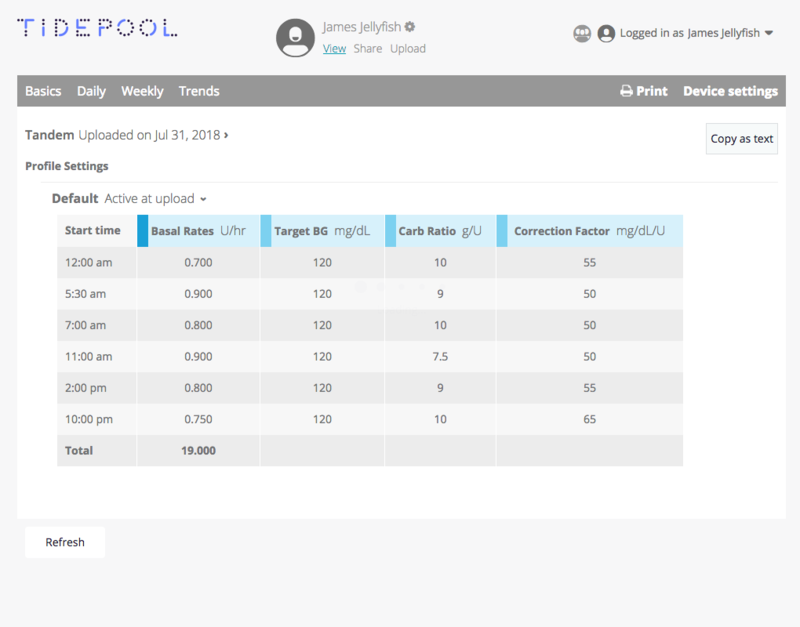 Each profile will contain information about the scheduled duration for each rate of insulin delivery and the total amount of insulin delivered for a 24-hour period. 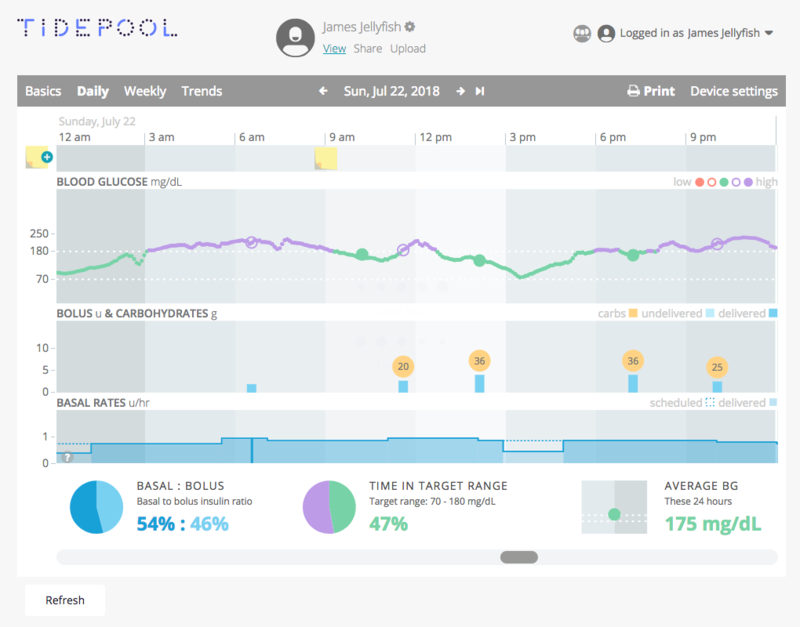 This section shows the various scheduled Insulin to Carb ratios throughout the day. If there is only one value, then this ratio is applied for the entire day. This section shows the sensitivity for corrective boluses and how that factor changes throughout the day. This section shows the BG target settings over the course of a day.